Roseville can make a picture-perfect community to make a home. The appeal of the Roseville community attracts first-time home buyers, move-up buyers, and investors. Roseville neighborhoods are clean, quiet and established. The Diamond Oaks with The Fountains encourage strolls through out the community. Home owners in Roseville real estate will find education facilities from preschool through college in the community. The activities in Roseville are plentiful. From nature walks to luxury shopping are found in Roseville neighborhoods. There are 13 elementary schools, three middle schools and one intermediate school in the Roseville City School District. The city's eight high schools are part of the Roseville Joint Union High School District. Students who are in preschool through 12th grade can also attend private schools in Roseville. Sierra College is a Community college five miles away in Rocklin. The Sacramento campus of California State University is about 22 miles from Roseville. Home styles sundry from ranch style to two-story houses, there are condos, bungalows, large estate lots and custom houses. Roseville has planned communities and old neighborhoods. The three main Roseville California zip codes are 95661, 95678 and 95747. Roseville is in Placer County. Roseville has very robust shopping areas. Roseville is considered a regional shopping destination, with the Galleria Mall and many small businesses and specialty shops, make for an exceptional shopping experience. Roseville is an exceptional area to live. Roseville is close to shopping and nature. 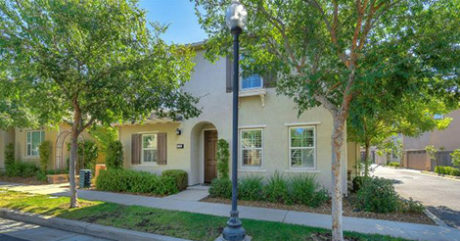 Roseville is a great family community along with a notable real estate investment. Roseville is also home to Active Adult communities. The list of actives is like you are on a cruise every day. The homes are specially designed for the above 55 plus homeowner. Check out our list of active adult homes in Roseville.